Vendor Neutral Archives And The Public Cloud – Today's Cure For The Healthcare Industry's Data "Super-Bug"
Continuous advances in technology, from diagnostic imaging to payer-provider tracking and analytics software, are a boon for healthcare organizations and the patients they serve. Yet, the exponential explosion in data management and storage requirements that follow can cause quite a headache for the IT department. Add to that, ever-changing and increasingly stringent compliance regulations and you can easily understand why data management and storage has become a “super-bug” in many healthcare organizations. Perhaps the most prevalent and obvious culprit of rising healthcare storage requirements is diagnostic imaging systems. Currently, imaging systems are creating over 600 million images per year in the U.S. alone. Diagnostic devices such as MRI machines, CT Scanners, and X-ray devices produce massive files and based on numerous regulatory requirements, must be retained for extremely long periods of time - 10, 30, even 50 years. These images are usually stored and managed in standalone PACS (Picture Archive and Communication Systems) which house the images themselves, as well as the associated metadata. The PACS secure, manage, and make the images available when needed while also providing high-resolution viewers and additional analytics capabilities. Today, much of this individual device data is still stored in stand-alone storage silos, making efficient and effective diagnostic capability almost impossible, while also complicating the management and storage requirements necessary to meet regulatory compliance mandates and legal actions response readiness. The Cure: Vender Neutral Archives? A recent technology trend that could help the healthcare storage issue is Vendor Neutral Archives (VNA). A VNA is an enterprise-wide unstructured data repository for patient medical images and associated unstructured patient data. The key to VNA usefulness is its ability to collect, consolidate and manage data from various PACS data silos. With all healthcare data consolidated in a single data management system, medical data use is streamlined – easier, faster, accurate. The main requirement for VNAs is its data neutrality. VNA data neutrality is achieved by integrating with the PACS so the VNA can collect, consolidate, and manage medical data from across multiple PACS. 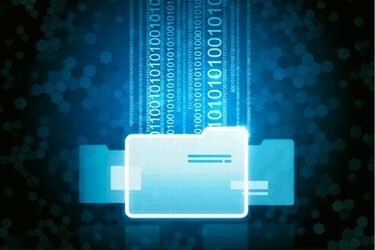 Benefits from a centralized archive include not only medical image storage but also faster file retrieval due to a single repository to search, automatically linking patient-related files for faster access and overall content relevancy. A side benefit of a consolidated archive is faster backup and disaster recovery (DR). In short, VNAs increase overall data control, security, and data availability while reducing complexity and cost. In short, A VNA will increase the healthcare provider's control over medical data, ease PACS data migration complexity and cost, and decrease the healthcare provider's storage vendor lock-in risk. In the quickly changing healthcare technology landscape, VNAs make it possible to incorporate new diagnosis capability such as machine learning and data analytics across an entire patient data set. Healthcare provider VNA expectations include acting as the central repository for not only medical image content but also medical device data, as well as EHR content - thereby making all patient-related data more easily available for more precise diagnosis, reporting, regulatory compliance, and legal response. The current availability of VNAs is an issue because of the relatively limited number of platforms to choose from. Due to this, costs remain extremely high. Also, some VNAs are not necessarily vendor neutral and raise the possibility of PACS-related storage vendor lock-in. Companies should first determine if the VNAs under consideration are truly vendor neutral and compatible with other medical device data they are using – both structured and unstructured. Most VNAs are designed to utilize on premise storage resources versus public cloud storage. Utilizing on premise storage will, by its nature, cost more than a distributed public cloud. In fact, the fully loaded cost of on premise enterprise storage can cost $0.30 to $0.50 per GB per month – a huge cost when considering the amount of storage medical images consume and the amount of time they are retained. Many proprietary PACS storage systems can cost even more – demanding a higher price due to making the PACS storage API available to a single storage vendor. The current crop of VNAs isn’t much better - requiring all data to be converted to fit their file format requirements. One solution many healthcare organizations are exploring is public cloud-based VNAs. The public cloud can offer a much lower price over that of on premise storage – $0.005 to $0.05 per GB per month. Well-known and trusted public cloud solutions currently include Microsoft Azure, Amazon AWS, and Google Cloud. Historically, healthcare organizations were cautious about adopting public cloud storage for patient records due to the belief that the public cloud was not secure enough. Another limiting factor was the fact that PACS did not allow for cloud storage from their proprietary systems. Today, healthcare management has realized that public clouds have become very secure, in fact, more secure than on premise storage. Because of that, healthcare CIOs are much more accepting of exploring cloud solutions for their sensitive patient data. However, VNA availability in a public cloud platform remains an issue. The obvious solution to the high cost of long-term medical data storage is for PACS to include open APIs so that cloud archiving vendors can create native archive solutions that can consolidate and manage the entire range of record format types. Microsoft’s Azure Cloud is considered one of the top cloud platforms in the world due to its available services. Storage is only a piece of a viable cloud-based VNA. The ability to scale when needed, world-class security, built-in disaster recovery, a choice of price/performance storage tiering, powerful analytics, and AI/machine learning capability are all requirements of a future-proof public cloud VNA platform. However, a great cloud platform is only a piece of a healthcare VNA solution. The archiving and management solution is also a key component. Indexing, access controls, federated search, AI-based classification and culling, metadata tagging, built-in report rendering, retention/disposition policy management, data export, and the ability to successfully integrate with various PACS are also extremely important. There are organizations and technologies that have been tested, approved and certified to work seamlessly and enhance an Azure Cloud-based VNA. A sub-set also meets all current medical information management requirements. And, a sub-set of those also deliver features that ensure a future-proof platform for long-term medical data archiving. When seeking the best solution for your medical data requirements, seek one that allows you to utilize your own Azure tenancy, thereby protecting you against vendor lock-in issues. The solution should allow you to take advantage of the full range of the Azure platform services while providing the powerful information management functionality. But, don’t just take their word for it. The solution(s) you explore should offer you a demo/trial, as well as an opportunity to read about like deployments (and/or speak with end client references). In doing so, you will be able to ensure the measurement all healthcare providers want to see: this new VNA solution delivers a positive and measurable return on investment (ROI), over that of the current on premise storage solution(s). Bill Tolson is Vice President of Marketing for Archive360 and has more than 25 years of experience with multinational corporations and technology start-ups, including 15-plus years in the archiving, ECM, information governance, regulations compliance and legal eDiscovery markets. Prior to joining Archive360, Bill held leadership positions at Actiance, Recommind, Hewlett Packard, Iron Mountain, Mimosa Systems, and StorageTek. Bill is a much sought and frequent speaker at legal, regulatory compliance and information governance industry events and has authored numerous articles and blogs. Bill is the author of two eBooks: “The Know IT All’s Guide to eDiscovery” and “The Bartenders Guide to eDiscovery.” He is also the author of the book “Cloud Archiving for Dummies” and co-author of the book “Email Archiving for Dummies.” Bill holds a Bachelor of Science degree in Business Management from California State University Dominguez Hills.